Carol M. The Best Tag Medal Website in UK! Why should I get a tag medal for my pet? 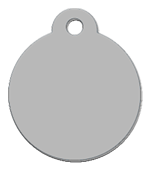 The tag medal is recognised as a complement to the tattoo or microchip. Compared to the tattoo or microchip, the tag medal is immediately visible and legible to anyone who finds your pet wandering. Therefore, unlike with the tattoo or microchip, the person finding your pet does not need to take it to a professional in order to contact you. Thus you can be informed immediately once your pet is found. 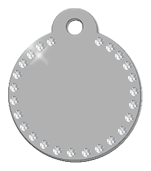 You can get your name, pet's name, phone number, address, or email engraved on your pet's tag medal. It is also worth engraving your pet's microchip number to prevent theft. 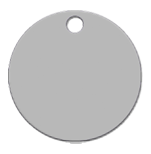 Pettag4life.co.uk offers engraved anodised aluminium ID tag medals for pets with a large selection of shapes, colours and sizes such as bone, heart, oval, round, and rectangular. The ID tag medal comes with a free ring to allow you to easily attach it to your pet's collar. The engravings are made with a professional industrial laser machine.